I am sure by now that you know how strongly I feel about Education. This is one of the many topics that I could write and talk about every day. Just ask my kids. My oldest two are now in middle school so we talk about it even more now. My Son has his heart set on going off to college. He has always dreamed of going to UGA (GO DAWGS!) or UNC. However, Jasmine says flat out that she has no desire to go off to school. She even said she was not going to school and stay with me forever! (I THINK NOT). She hates school and seems to struggle now, so I understand why she would feel that way now. I Hope over the next few years that will change. I know college is not for everybody but I am going to try my best to push her to change her mind as she gets older. I would be ok if she wanted to take online classes instead as long as she is furthering her education. I was very impressed to see a local school on the list! Savannah College of Art and Design was number 4! Jasmine loves arts so maybe I could push graphic designs haha.. I know, I know it’s still too early to get worried and stress over something that is so far away but I just want the best for my kids. However, I admit I am taking one day at a time with her! She surely keeps me on my toes! If you are a homeschooling parent within driving distance to Atlanta, Georgia then you may find yourself interested in attending the Atlanta show for the Southeast Homeschool Expo. This expo is designed to encourage parents in the raising and educating of their children in a homeschool environment. The expo features a one-day conference called Homeschooling for Excellence 101. This is where homeschooling parents can get the answers they are in need of. This is where they can learn how to better their situation as a homeschooling parent and learn how to help their children. They can get the advice they need from other homeschooling parents, many of which have been at it a while. Another great thing about the homeschooling convention is there are also a variety of workshops offered to the kids. This will keep the kids busy while the parents attend the convention. The kids will also have the ability to listen to several different speakers who have the mindset of influencing the homeschooled kids to become more active, enthusiastic learners. The home school show also offers students and parents of students who are nearing the end of their high school grade levels with the opportunity to interact with homeschool friendly colleges and universities. This is when courses offered, admission, financial aid requirements, and other pertinent information will be provided. This expo really won’t break the bank as it is quite affordable. Individual registration will only run you $20 if you purchase online ahead of time. Otherwise, it’s $30 at the door. Couples can save money by registering together for a total price of $25 purchased ahead of time or $35 at the door. The workshops available for the kids also are not very expensive either. You can pay $35 for just one day or $80 for all three days. However, lunch is not included. The 2011 Southeast Homeschool Expo will be taking place in Marietta (Atlanta), Georgia from July 29th through the 30th. Registration ends on July 17th at midnight. After that, you can pay the price at the door. Please keep in mind that there are two other homeschooling conventions; The Alabama Homeschool Expo and The Chicago Homeschool Expo. So, if you’re closer to either of those conventions, be sure to take advantage of all they have to offer. Regardless of which expo you attend, the experience will be extremely beneficial to both homeschooled children as well as homeschooling parents. Once again this summer, the Georgia Public Library Service and the Path2College 529 Plan are coming together to help families prepare Georgia’s children for a successful future. Georgia’s public libraries are encouraging reading through their annual Summer Reading Program, “One World, Many Stories,” to help children incorporate daily reading into their routine, which can promote a child’s academic development and improve concentration, memory power and vocabulary. In addition to the educational benefits of participating in the program, the Path2College 529 Plan is providing families with the opportunity to enter participating children to win $5,529 toward a Path2College 529 Plan college savings account through the Destination College Savings Sweepstakes. At the kick-off of the sweepstakes, First Lady Sandra Deal joined the Georgia Public Library Service and the Path2College 529 Plan to emphasize the First Lady’s and the Governor’s focus on our children’s education and to continue her Read Across Georgia initiative, where she is reading with children at schools and libraries throughout the state. The Destination College Savings Sweepstakes, which is open through July 31, will award one Summer Reading Program participant the grand prize of $5,529 toward a Path2College 529 Plan account. In addition, the local public library of the winner will also receive $1,529 to be used for its children’s and teen’s department, and the Georgia library with the greatest number of entries and the Georgia library system with the greatest percentage of their registered users entered into the sweepstakes will each win $1,529 for their children’s and teen’s materials and programming. In 2010, almost 1.5 million children participated in the Summer Reading Program, and nearly 5,300 Georgia children were entered in the 2010 Summer Reading Program sweepstakes—Make a Splash – Save for College Sweepstakes. Parents, grandparents or legal guardians of children 16 years and under can visit their local library beginning May 1, 2011, to learn more about the “One World, Many Stories” Summer Reading Program and the Destination College Savings Sweepstakes. While at the library, participants may use a computer station to visit the Path2College 529 Plan website, www.path2college529.com, to enter their child or grandchild for a chance to win. Participants may also enter online using their home computer. Entries must be submitted online by July 31, 2011. The Path2College 529 Plan will randomly draw a winner for the $5,529 college savings account in early August of 2011. For official rules and more information on the Path2College 529 Plan or the Destination College Savings Sweepstakes, please visit: www.path2college529.com or call (877) 424-4377. No purchase necessary. Void where prohibited. The Path2College 529 Plan is a state of Georgia program that helps families prepare for the future costs of college tuition and other qualified expenses, such as fees, books, and certain room and board costs for colleges in Georgia and nationwide. The plan is easy to use and understand, with no sign-up, maintenance or third-party sales fees – just a low annual asset-based management fee, and an account can be opened online with as little as $25. Any earnings in the Path2College 529 Plan are federal and state income tax-deferred and withdrawals for qualified higher education expenses such as tuition, fees, books, and certain room and board costs are federal and Georgia income tax free. In addition, the State of Georgia offers a state income tax deduction on contributions of up to $2,000 per year, per beneficiary. (Transfers from another 529 plan are not eligible for the deduction. Recapture provisions apply). Your account assets can be used at virtually any college or university in the country. The plan offers seven investment options and participants can arrange for automatic contributions to their accounts to be drawn directly from a bank account or made through payroll deduction with participating employers. The Path2College 529 Plan is managed by TIAA-CREF Tuition Financing, Inc., which is part of the TIAA-CREF group of companies. The Path2College 529 Plan has more than $1 billion in assets under management and more than 120,000 accounts as of May 2, 2011. Consider the investment objectives, risks, charges and expenses before investing in the Path2College 529 Plan. Please visit www.path2college529.com for a Disclosure Booklet containing this and other information. Read it carefully. Before investing in a 529 plan, you should consider whether the state you or your Beneficiary reside in or have taxable income in has a 529 plan that offers favorable state income tax or other benefits that are only available if you invest in that state’s 529 plan. We are required to notify you that the tax information contained herein is not intended to be used, and cannot be used, by any taxpayer for the purpose of avoiding tax penalties. Taxpayers should seek advice based on their own particular circumstances from an independent tax advisor. Non-qualified withdrawals may be subject to federal and state taxes and the additional federal 10% tax. Account value for the Investment Options is not guaranteed and will fluctuate based upon a number of factors, including general market conditions. Is your Child ready for the CRCT GA? Georgia kids have been preparing all year for the dreaded CRCT. CRCT testing is around the corner, and come April, Georgia students will be gripping those No. 2 pencils and putting to paper what they’ve learned during year. As parents I think it’s safe to say we are just as nervous and the kids are when test time comes. Georgia law, as amended by the A+ Education Reform Act of 2000, requires that all students in grades one through eight take the CRCT in the content areas of reading, English/language arts, and mathematics. Students in grades three through eight are also assessed in science and social studies. The CRCT only assesses the content standards outlined in the GPS. The test not only puts stress on the students and parents but also the teachers. Our school systems put so much pressure on GA teachers to “make the Grade” each year in producing Impressive scores. 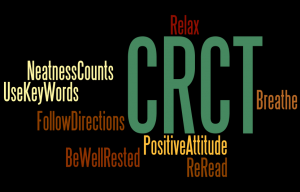 With much at stake for all, CRCT testing can be extremely stressful for students, as they realize their destiny lies in what they put down on paper during the CRCTs. The pressure to perform is at an all-time high, at the same time teachers are faced with growing class sizes, fewer resources, dwindling budgets and layoffs. They need some help. As a parent I feel that we should not be putting this all on our teachers. I am very vocal when it comes to this subject and feel that as parents we should be helping our kids learn all they can! We can’t just depend on the school systems to teach our children everything they need to know and prepare them for these test. Some will argue and say that’s what teachers and schools are for. I agree they are there to help teach our kids but we need to work as a team! Learning starts at home! Many of you know the struggles I am dealing with my “middle child” at school. She has always been the one that needs the extra help. The school has been great in making sure she is getting the help she needs especially in math. She also works with a math tutor to give her one on one attention to help her understand. However that don’t mean she doesn’t have to do extra work at home. I am the type of parent that is not “ok” with barely passing. I expect my kids to know what they are doing and aim for the sky. Math has never been my strong subject but I refuse to just brush that off and allow my child to keep struggling. As parents sometimes we have to think out the box to help our kids. Today there are a number of tutoring center franchises that have sprung up in strip malls, online tutoring, and more traditional one-on-one tutoring. 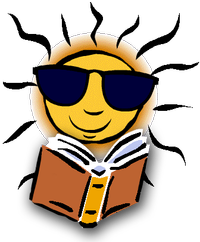 Sometimes parent’s are faced with the question does my Child really need a tutor. I feel if the child does not understand what’s going on in class and you have tried all you can at home then it’s time to consider a pro. Start by doing your research. Most tutoring services have websites, so first go online. Tutor centers should have a wealth of information available on their websites that covers everything from the subjects they offer and their philosophy of education to statements about the qualifications of their tutors and testimonials. Also make sure you know your goals. When selecting a tutoring service, it’s important to know what you want to get out of the experience. Perhaps your child is like my daughter who falling behind in a subject and needs remediation with a math or reading tutor. Maybe your child is a gifted or accelerated student and needs to be challenged to reach his or her full potential. My son is gifted and I always felt till this year he was never being challenged enough. Luckily now that we are in middle school things have changed! He actually has to “think” and work! People use tutors for many different reasons. However, the tutor you choose should listen to your student, be upbeat and enthusiastic, make learning fun, instill confidence in your student, and, ultimately, teach your student new learning habits so that he or she can succeed in all of his or her educational endeavors. I wish all my GA Family the best as CRCT gets under way! As Parents we need to let our kids know this test is important but go in and think positive. When test results come back and you’re not happy with the results then please take the next steps in helping prepare your children next year. We have to work as a team with our schools. Our children don’t deserve having one of the lowest school systems in the United States! There is also a web site that you may use to allow your child to practice on items similar to those that they will encounter on the CRCT. Visit today to see where your child might be struggling. So Now I want to hear from you! What are you doing as a parent to prepare your child? Do you use tutoring services or thinking about it? Springtime is here Atlanta!! 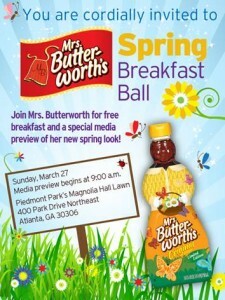 , and Mrs. Butterworth’s syrup invites families from all over Atlanta to join her for a Family Breakfast Ball at Piedmont Park on Sunday, March 27, 2011 between the hours of 9:30 a.m. – 12 p.m.. In celebration of her new limited-edition spring bottles, Mrs. Butterworth’s will serve a complimentary pancake and waffle breakfast along with her rich and buttery syrup and a heaping helping of fun for the entire family. Families get a sneak peek of Mrs. Butterworth’s new, downloadable wardrobe collection with accessories designed to complement and customize her bright new look. Families can play designer by adding their own personal touches to new Mrs. Butterworth’s spring edition bottles. After the event, accessories will be available for everyone to download from her Facebook page with a special purchase code found on Mrs. Butterworth’s Syrup limited-edition spring bottles. For MORE INFO: Visit Mrs. Butterworth’s page on Facebook at facebook.com/MrsButterworths and follow her on Twitter at twitter.com/MrsButterworths.